As your parent ages, certain parts of daily life become more difficult. Inevitably, these tasks are placed on your shoulders. It’s an emotionally fraught situation, because these are the people who provided for you throughout your entire life, and now they are relying on you to lend a hand. That’s just one of the many reasons children of aging parents often research local assisted living communities. You can’t take these decisions lightly. These are your parents, and they deserve nothing but the absolute best. Assisted living facilities can actually be wonderful options for an elderly loved one, despite what some people may think. Rather than being cooped up at home, seniors have the opportunity to make new friendships, engage in healthy activities, have a sense of community again, and feel as if they are less of a burden on their family. As a matter of fact, according to Genworth Financial, 55% of seniors confess that their greatest fear regarding their old age is becoming a burden on their family. You don’t consider them a burden, obviously, or at least you shouldn’t (again, they cared for you when you were in diapers), but they may see it that way. That’s why deciding where to go for a senior living community is so important. They deserve the best, so you should give them the best. Here are a few things to keep in mind while searching for quality retirement homes near you. You should make sure that the employees of these assisted living facilities are the highest quality professionals available. You would hate it for cruel employees to be around your loved one for hours on end, so it’s imperative that you research these organizations to make sure they are compassionate, friendly, and genuinely caring people. You want to also make sure that vital senior care services are being offered, including: personal care, healthcare, social services, medication assistance, transportation, housekeeping and maintenance, and laundry. Most assisted living facilities provide 24-hour supervision, along with at least three meals a day plus snack foods in a large dining room. Make sure your loved ones are in good hands and aren’t forced to eat alone in their rooms, which could be devastating for their mental health. They need to be around their peers and friends, not isolated. It’s important that you let them be a part of the conversation and have a say in the final decision. After all, it is their life and they deserve that much. 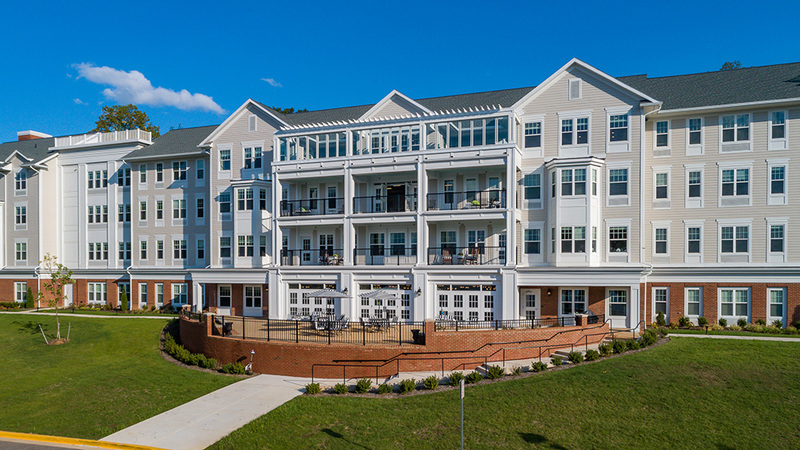 A National Research customer satisfaction survey showed that 60% of senior living residents visited two or more communities prior to selecting the one they wanted to live in. The main reasons for their final decision were reputation and recommendation (44%) and location (40%). With the right research, there’s no reason you can’t find an assisted living facility near you that would be perfect for your aging parent or loved ones. Always be sure to visit these sites in person, because there’s no better way to make sure your relatives will be in the right hands.